Physical computing platforms such as Arduino have significantly simplified developing physical musical interfaces. However, those platforms typically target everyday programmers rather than composers and media artists. On the other hand, tangible user interface (TUI) toolkits, which provide an integrated, easy-to-use solution only support a limited set of compatible sensors. We propose a concept that hybridizes physical computing and TUI toolkit approaches. 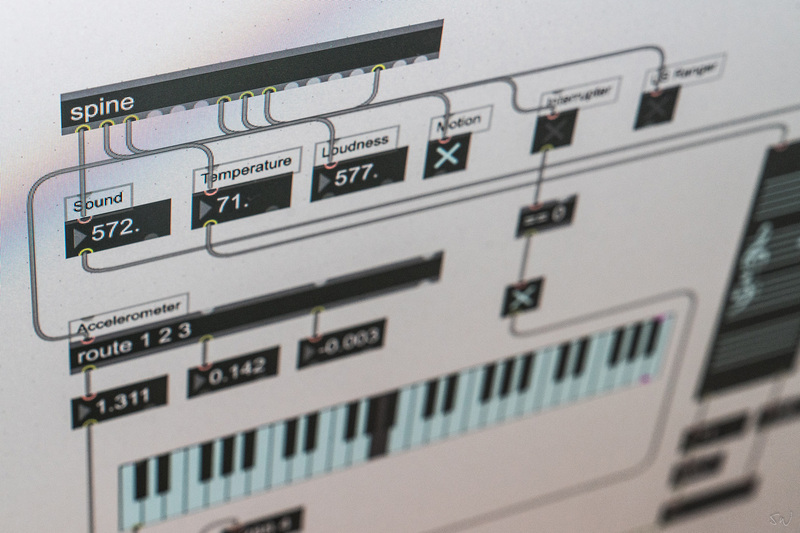 Spine is a hardware/software solution to connect sensor modules to audio programming environments like Max/MSP, pureData or Supercollider. 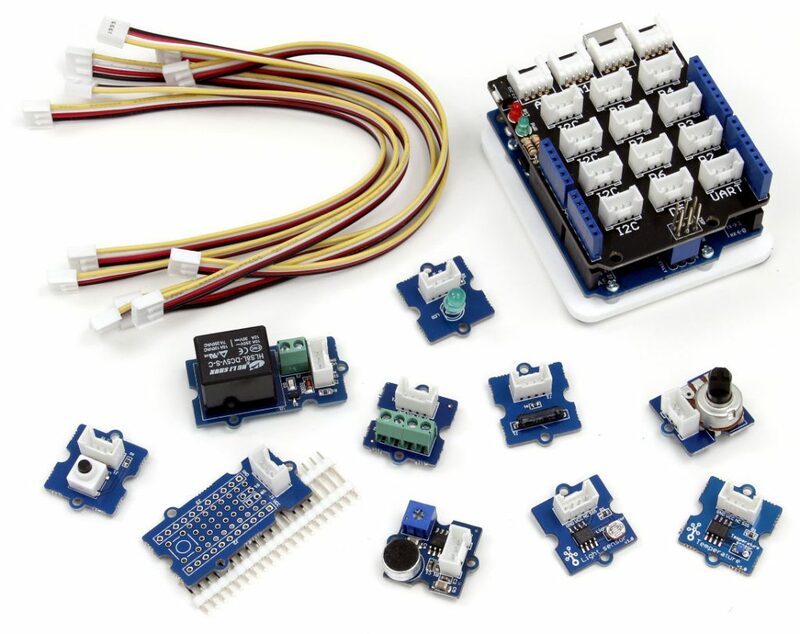 It is based on Arduino, which is an open-source electronics platform intended for making interactive projects. It uses the Grove system, which lets you physically connect sensors to your Arduino without soldering or using a breadboard (see the picture on this page). Tight integration of Spine with Max/MSP makes it ideal for developing sensor-based sound user interfaces, both for beginners and advanced users. An Arduino Leonardo or a Leonardo-compatible device. It is important that it is a Leonardo since the Spine software will not run on other Arduino platforms like the UNO. Step 4: You are ready to go. Attach the Grove sensors, use the SPINEprog and select your setup and hit program. Then you can export code to Max/MSP, pureData or Supercollider using the “Export” menu.